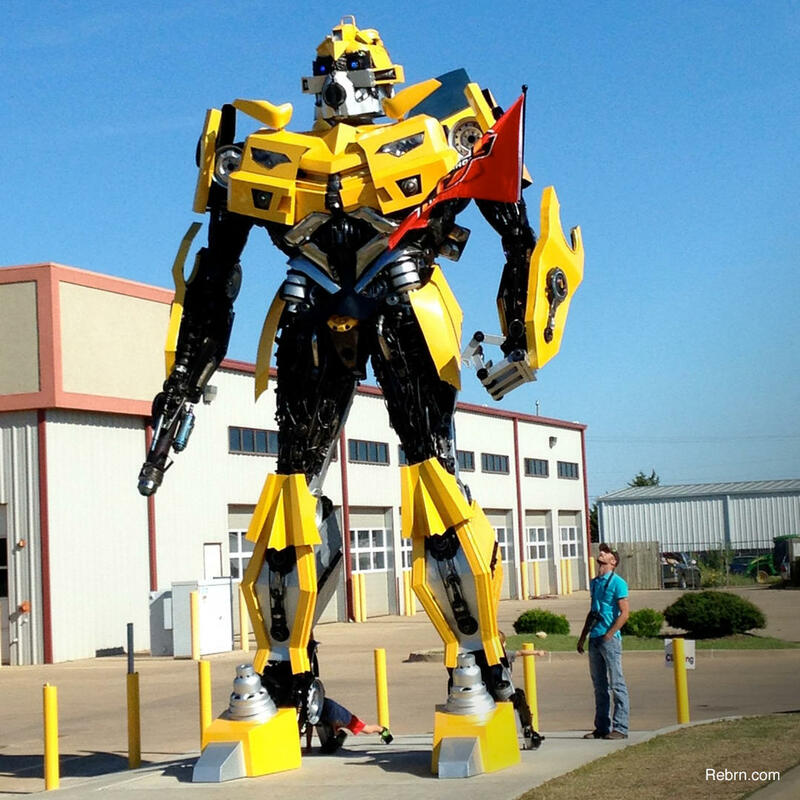 Who needs a Doberman when you've got a full-sized Transformer guarding your shop? G&M Body Shop purchased the statue from Thailand but when it arrived it was a pale and cheap reproduction of the giant movie bot. Over the course of a year shop owner Mike McCubbin refinished the statue with spare car parts, scrap metal, and a fresh coat of shiny, yellow paint.